For all you Green Tea lovers out there, I’m passing along an article I came across on-line, on my favorite healthy drink Green Tea. The link to the full article is at the bottom of the post. On most long, busy workdays, caffeine may be your savior. Most employees cannot make it through a morning without it, usually consuming one or more large cups of steaming coffee. There are many ways to get a caffeine fix throughout the day – coffee, soda beverages, tea or even chocolate. A very good article on one of my favorite drinks and it’s health benefits, Green Tea. You can read the entire article by clicking the link at the end of the post on the One Green Planet website. Green tea has been quite the hero over the last decade in its popularity to help with weight loss due to the compound it contains known as EGCG. It’s also a great remedy for reducing your caffeine intake since green tea is much lower than black tea, coffee, or sugary energy drinks that are spiked with high doses of caffeine which can lead to adrenal fatigue and caffeine dependence. But this humble plant is much more beneficial than most of us realize. Aside from reduced caffeine intake and weight loss, there are many other ways you can benefit from using green tea. So, let’s take a look at five simple ways you can use green tea in your home for healing and then let us know if you have a favorite way that we didn’t mention here!……. I’ve been a Green Tea Drinker now since 2004. My Tea of preference is Bigelow Decaf Green Tea. I’m a Melanoma Cancer Survivor, and lost my left leg and almost my life to the Cancer. But I survived and I made changes to my diet and added Green Tea. I had read all the positive benefits of drinking Green Tea so that’s why I started drinking it. I’m still Cancer Free and it’s now 2015, 11 years Cancer Free! I’m sure the change in diet and exercise plays a big part in everything but I truly believe that Green Tea plays a big part in that also. Anyway here’s some facts I gathered on – The Health Benefits of Green Tea. * It is loaded with antioxidants and nutrients that have powerful effects on the body. This includes improved brain function, fat loss, a lower risk of cancer and many other incredible benefits. Here are 10 health benefits of green tea that have been confirmed in human research studies. Green tea seems to help keep blood sugar stable in people with diabetes. Because catechins lower cholesterol and blood pressure, they can help protect against the damage a high-fat diet can cause. Premium green tea is a varietal of the Camellia sinensis bush. Green tea leaves are not oxidized or fermented. Green tea is processed with a three-stage system of steaming, rolling and firing the tea leaves which retains crucial molecules called polyphenols, which are strong antioxidants. These polyphenols, specifically catechins, and their effects on the body, have led researchers to support the health benefits of green tea. A Japanese study published by the Journal of the American Medical Association followed 40,000 people over an 11-year period and determined that those who drank at least five cups of green tea daily were significantly less likely to suffer from cardiovascular complications and death, particularly from stroke. The results were attributed to green tea’s polyphenols and their effects on helping to prevent the thickening of artery walls. A study published in the British Medical Journal of over 1,000 Japanese men over the age of 40 who drank large quantities of tea, daily, showed that cholesterol levels remained balanced over time. They concluded that the anti-inflammatory compounds contained in green tea help to limit the absorption of cholesterol. Published in the British Journal of Nutrition, a study was conducted on the health effects of green tea catechins in overweight and obese men. Over time, a lower body mass suggested that green tea’s catechins may increase metabolic function and decreased body weight. Research published in Molecular Nutrition & Food Research found that the properties contained in green tea helped to improve cognitive function in the part of the brain that controls short and long term memory. Catechins contained in green tea are believed to have aided in increased brain cell production during the study. Research published in The American Journal of Clinical Nutrition recently found that individuals who drank five or more cups of green tea daily were much less likely to suffer from stress than those who drank one cup or less a day. Furthermore, the ritual of steeping green tea encourages a relaxing, Sip-by-Sip lifestyle. The health benefits don’t end here; green tea and the effects of its antioxidants are currently being researched as an aid to treating and preventing diabetes, Parkinson’s, Alzheimer’s, Chronic Fatigue and many other ailments. It is time to discover why many tea enthusiasts have long enjoyed this nourishing beverage that contains so many healthful antioxidants. Drink (green tea) to your health! A very good article from the Dallas News on one of my favorite drinks, Green Tea. I’m having a cup right now! Today, my physician assistant needed something to calm her pregnancy-related nausea. She was green as a glass of green tea and in need of assistance. As she cannot tolerate routine prescription anti-nausea medication, I offered her a more natural alternative with a cup of diluted green tea to calm her symptoms. Green tea has been used in both traditional Chinese and Indian medicine to decrease and control bleeding, improve heart and mental health and aid in digestion. Some studies have shown that green tea may be an adjunct to successful weight loss and even improve liver health in some diabetics. A new study suggests that green tea “disrupts the metabolism of cancer cells” in pancreatic cancer and could reduce the risk of other cancers or slow its progression. While facts have been contested, Anti-oxidants may help your body to prevent inflammation that can cause organ damage and adversely affect your immune system. Green tea contains epigallocatechin gallate (EGCG), a potent anti-oxidant. EGCG is the active ingredient in green tea that is thought to be helpful for stomach problems like vomiting and diarrhea, lower blood pressure, improve type 2 diabetes, cholesterol, memory retention and cancer prevention. Recently, Veregen, a green tea extract, has been tested and approved by the FDA (Food and Drug Administration) to treat genital warts. 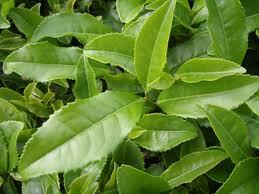 Green tea, like black tea, is made from the Camellia sinesis plant, a shrub native to Asia. Unlike black tea, green tea is thought to have higher levels of antioxidants because green tea is less fermented. These less processed plants better retain their vital nutrients. Studies investigating green tea have not been conclusive; therefore, the FDA does not currently recommend using green tea to treat the above conditions. The amount of green tea that needs to be consumed to show benefits varies in studies from 3-10 cups per day. It has been suggested that bottled green teas may not have as high levels of EGCG as natural steeped tea and may contain extra ingredients. At 20-45mg per 8 ounces, its caffeine content is approximately ½ the caffeine contained in a cup of coffee. Talk to your doctor before consuming large amounts of green tea as there can be side effects. Unregulated (i.e. imported) green tea extract may not be safe as they may contain unknown ingredients such as lead. As for my physician assistant, she looks much less green after her green tea. 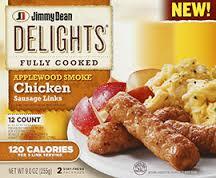 Started the morning off with something new, Jimmy Dean Delights Fully Cooked Applewood Smoke Chicken Sausage Links. I found them at tyhe Kroger up the road the other day. They’re fully cooked so all you do is warm them up in the microwave or by skillet, which is what I did this morning. The fried up in 8 minutes and really browned up beautifully. There 102 calories and 3 carbs per serving, which is 3 links. Tender and full of great flavor, great new item to have in the freezer! Served them with a Pillsbury Grand JRs Biscuit and a cup of Bigelow Decaf Green Tea. Give them a try great new Breakfast item! Tasty mornings made easy. 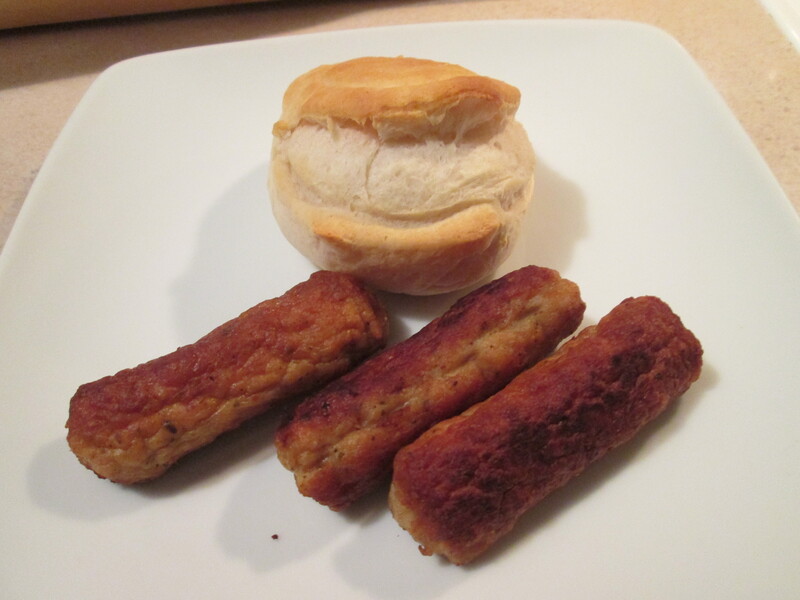 Applewood smoke chicken sausage links with just 120 calories per serving. Always follow heating instructions. Do not refrigerate longer than expiration date on package. * Instructions were developed using an 1100-watt microwave oven. Ovens vary; heat times may need to be adjusted. 2. Place on a microwave-safe plate and cover with a paper towel. 3. Microwave on HIGH: Refrigerated: 35-45 seconds or until hot. Frozen: 50-55 seconds or until hot. 2. Place links in a cold non-stick skillet. 3. Heat skillet to MEDIUM. 4. Heat links over medium heat, turning occasionally for even browning. Refrigerated: 6-8 minutes or until hot. Frozen: 10-12 minutes or until hot. Caution! Product will be hot! Remove with caution! Let cool one minute before eating! Enjoy! For food safety and quality purposes, this product must be cooked to a minimum internal temperature of 160°F prior to eating. Due to differences in cooking equipment, cook times may require adjustment. Is white tea the next green tea? A very good article on my favorite health drink, Green Tea. It was posted on the web site of The India Times. “You can never get a cup of tea large enough or a book long enough to suit me,” said famous writer CS Lewis. And for tea lovers, choices are aplenty when it comes to choosing flavours. But the latest fad seems to be white tea. Though the hot beverage comes from the same plant (Camellia sinensis) as green tea, white tea is said to have higher health benefits as compared to green tea. And what’s more? White tea is also one of the most expensive teas in the world. City-based consultant dietician Dharini Krishnan, who has done a presentation on white tea explains, “Historically, white tea is derived from the first flush buds grown only in the Fukien Province of China, but now manufactured in India and Sri Lanka, among other places. While the tea is not white in colour, it has got its name due to the silvercoloured, white hair-like picked tea bud. The beverage is pale yellow in colour.” The reason for its exorbitant rate is because white tea is plucked in a very short time. “White tea is produced from unopened buds of tea shoots. These buds are withered and dried under special conditions. Anything that is rare becomes expensive. It is also produced in small quantities, which is one of the reasons why it is very expensive,” she says. Similar to green tea, white tea also has a lot of health benefits. Dharini advises to have this tea in between meals to see its yield. “The benefits of this tea can be given to its flavonoids as they help in various ways such as improving vascular health, which further helps in the prevention of heart diseases. White tea also helps in weight management,” she says. Chinese and Japanese people consume substitute white tea with water since it also helps in hydration to the body. 5 reasons to start drinking green tea today.. Excellent article on my favorite health drink, Green Tea. I left the link to the article at the bottom of the page. Check the site out while there, seems to have a lot of good info! Fit celebrities and nutritionists alike will tell you that green tea is a vital part of a healthy diet. Ever wondered what makes this beverage such a big hit? For starters, a cup of green tea contains as little as 2 calories which makes it ideal for weight-watchers. Here are other reasons to start with your green cuppa today. It is a low-calorie drink no doubt. But it is also good for your metabolism as it increases it which means you burn more calories faster. It also stimulates the nervous system which enhances the fat-burning process. Team it with 30 minutes of daily exercise and right diet and you are sure to get a toned body. Boil water in a vessel. Now add one teaspoon of green tea leaves in it. (If you are making more than one cup, add one tsp for every cup). Let the leaves boil for 2-3 minutes at least and then turn off the gas. Place a sieve over the cup and strain the water in it. Now add a spoon of honey in it. You can also add a dash of lemon for that extra zing. Mix well and enjoy. These days, there are green teabags available in the market in various flavours including mint, lemon, etc. You can use these too. Just place the teabag in the cup and add hot water. Let it settle for 2-3 minutes and then add honey and enjoy your tea. Well we’ve really been blessed with a lot of beautiful days out this Autumn and today was no exception! Sunny and in the low 50’s. Went out early to pick up a few things at the store and then home to do some yard work, that I was able to do. I also took apart the old gas grill. We had since about 2002 so it served it’s purpose. It was lot easier taking apart than it was putting it together! 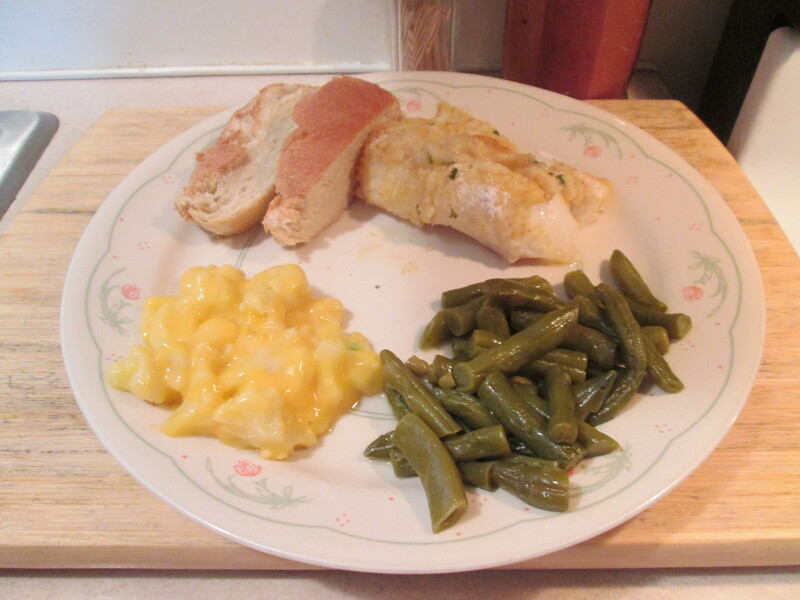 For dinner tonight, Lemon-Baked Cod w/ Cauliflower with Cheese, Green Beans, and Baked French Bread. Picked up some beautiful Cod Fillets at Kroger this morning. 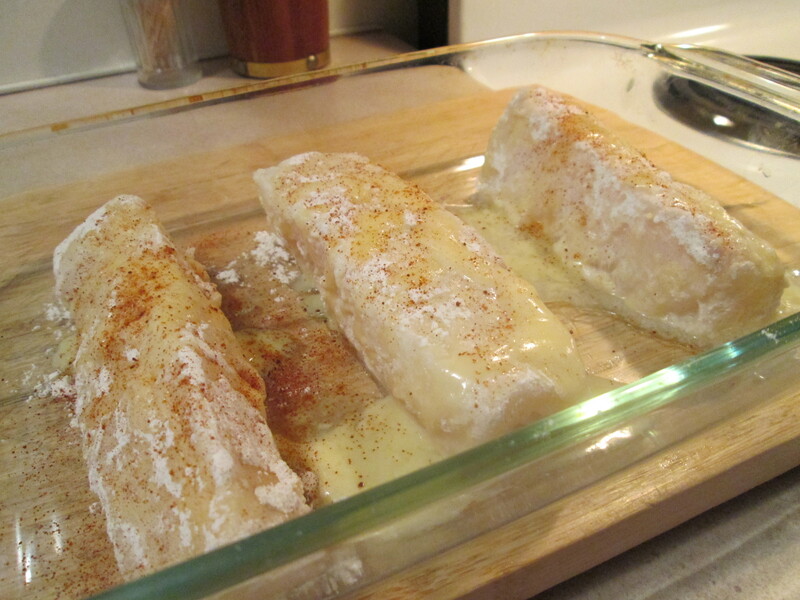 So I pulled out a favorite Cod recipe of mine; Lemon-Baked Cod . Cod is such a mild Fish and meant for baking. If you like Cod you’ll love this recipe. You’ll need; 1 lb Cod Fish Fillets, 1/4 cup Blue Bonnet Light Butter, melted, 2 tablespoons Lemon Juice, 1/4 cup all-purpose Flour, 1/2 teaspoon Morton’s Light Salt, 1/8 teaspoon White Pepper, and Paprika. To prepare it mix butter and lemon juice in a bowl. Then in another bowl, mix flour, salt and white pepper. Dip the fish into butter mixture; coat fish with flour mixture and place fish in ungreased square baking dish, 8x8x2 inches. Pour remaining butter mixture over fish; sprinkle with paprika ( You can also sprinkle a bit of Bread Crumbs on it also to give it a bit of a crust topping). Cook uncovered in 350 degree oven until fish flakes easily with fork, 25-30 minutes. Garnish with parsley sprigs and lemon slices if desired. The Cod has such a great flavor to it from the Lemon, Butter, and spices! Had some leftover so I’ll make a sandwich with it for lunch tomorrow. 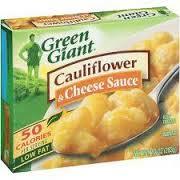 For a side dish I heated up some Green Giant Cauliflower and Cheese Sauce. I’m not a huge fan of Cauliflower but I love it in this Cheese Sauce from Green Giant. It comes frozen in a box with about 3 servings per container. To prepare it just make a small slit in the plastic bag and microwave it for 4-5 minutes. The Cheese Sauce is fantastic on the Cauliflower and it’s only 50 calories and 5 net carbs per serving! i also heated up a small can of Walmart Brand of Cut Green Beans and Baked a loaf of Pillsbury Simply Rustic French Bread. For dessert later a Healthy Choice Vanilla Bean Frozen Yogurt. *If fish fillets are large, cut into serving pieces. *Mix butter and lemon juice. *In another bowl, mix flour, salt and white pepper. *Dip fish into butter mixture; coat fish with flour mixture. *Place fish in ungreased square baking dish, 8x8x2 inches. *Pour remaining butter mixture over fish; sprinkle with paprika. *Cook uncovered in 350 degree oven until fish flakes easily with fork, 25-30 minutes. Garnish with parsley sprigs and lemon slices if desired. Picked at the peak of perfection. Endorsed by Weight Watchers: 1 PointsPlus value per serving. 50 calories per serving. Green Giant frozen vegetables are as nutritious as fresh! Several research studies show that freezing vegetables locks in important vitamins and stops the nutrient loss that can occur in fresh vegetables over time. Green Giant vegetables are frozen fast to lock in nutrients, so they’re as nutritious as fresh! 100% recycled paperboard. Exchanges: 1 vegetable, 1/2 fat. Carbohydrate Choices: 1/2. Product of Mexico. Cauliflower in a Sauce Containing Water, Modified Corn Starch, Enzyme Modified Butter, Cheddar Cheese (Milk, Cheese Cultures, Salt, Enzymes) (Dried), Baker’s Cheese (Skim Milk, Lactic Acid, Cheese Cultures, BHA [Preservative]) (Dried), Partially Hydrogenated Soybean Oil, Salt, Whey Protein Concentrate, Corn Syrup Solids, Whey, Onion Powder, Sodium Phosphate, Sodium Alginate, Hydrolyzed Corn Gluten, Xanthan Gum, Parmesan Cheese (Milk, Cheese Cultures, Salt, Enzymes) (Dried), Garlic Powder, Sodium Caseinate, Natural and Artificial Flavor, Torula Yeast, Autolyzed Yeast Extract, Soybean Oil, Lactic Acid, Dextrose, Buttermilk, Yeast Extract, Color Added, Disodium Inosinate, Disodium Guanylate. Keep frozen. For food safety and quality, follow the directions and cook thoroughly to at least 160 degrees F. Keep frozen until ready to use. Because microwaves and stove-tops vary, adjusting cook times and heat settings may be required. Refrigerate leftovers. Microwave: Recommended method. 1. Place pouch on microwavable plate. Cut small slit in center of pouch. 2. Microwave on High 4 to 5 minutes or until thoroughly heated. 3. Let stand 1 minute. Caution: Hot! Cut pouch open. Empty into serving dish; stir well. Stove-Top: Place unopened pouch in 3-quart saucepan of vigorously boiling water. Boil uncovered 22 minutes, turning pouch over after 11 minutes, until thoroughly heated. Caution: Hot! Cut pouch open. Empty into serving dish; stir well. For all you Iced Tea Lovers out there! 9 recipes and ideas. I left the link at the bottom of the post. Iced tea is easy. It’s inexpensive and it’s refreshing. So why buy ready-made? Here are a few recipes. Got a serious sweet tooth? Then this traditional Southern-style iced tea is for you. (You could decrease the sugar but then it wouldn’t be authentic, would it?) The recipe is from Martha’s American Food by Martha Stewart (Clarkson Potter, 2012). Bring 4 cups (1 l) of water to a boil in a medium saucepan. Remove from heat. Add 6 black tea bags; let steep for 5 minutes. Remove tea bags and discard. Stir in 3/4 cups (180 mL) of sugar until dissolved. Let cool. Transfer to a pitcher. Cover and refrigerate at least 1 hour or up to 3 days. Serve over ice, garnished with mint sprigs. You don’t have to boil water to make iced tea. The cold-brew method, in which tea leaves steep in cold water for several hours or overnight, produces iced tea with less caffeine. This recipe is from Fred Thompson’s book Iced Tea (Harvard Common Press, 2002). Make it with loose leaves of any type. Use superfine sugar, which dissolves more quickly than regular granulated sugar. Fill a one-gallon (4.5-l) container with the cold water. Add the tea leaves, cover tightly and shake to combine. Let sit overnight in the refrigerator or place in full sunlight for 3 to 4 hours. Get these and 7 more Iced Tea recipes. Started the day off the right way! Rolled out to get paper this morning and the humidity had already started. 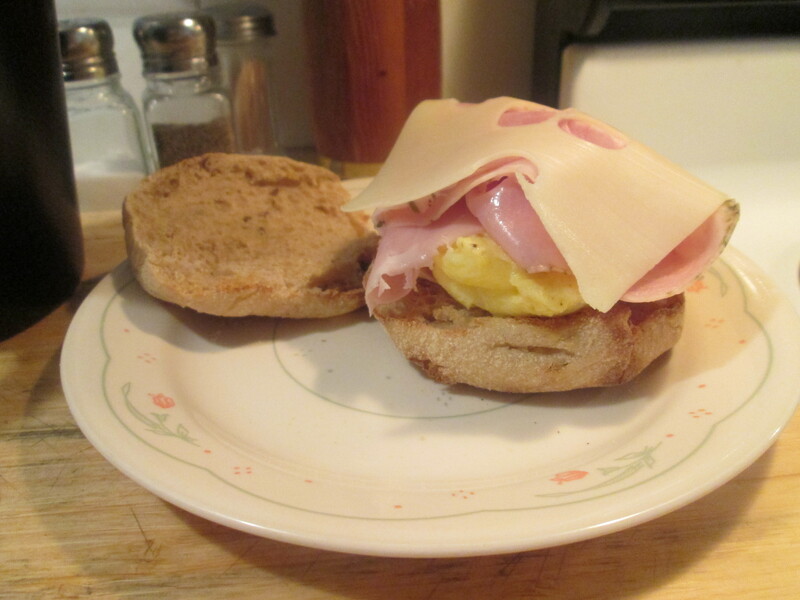 Came back in and prepared a Homemade Ham, Swiss, and Egg McMuffin. I used 1 Egg, that I scrambled and seasoned with Sea Salt and Ground Black Pepper along with a couple of shakes of Frank’s Red Hot Sauce. I also used 3 slices of Kroger Private Selection Oven Roasted Rosemary Ham, 1 slice of Sargento Ultra Thin Swiss Cheese, and served it all on a Healthy Life Whole Grain Muffin. The Muffin has 80 calories and 17 carbs. I also had a cup of fresh brewed Biggilo Green Tea. I was set to start the day off right with the Morning Journal Paper, fresh Brewed Green Tea, and a lean and healthy Egg, Ham, and Cheese McMuffin. How did your morning go?